A team from Sydney’s Westmead Institute for Medical Research is a step closer to developing a drug to treat life-threatening fungal infections that cause more than 1.6 million deaths annually. The team discovered that Arg1, a protein produced by all fungi, enables the Cryptococcus neoformans fungus to establish potentially lethal infections in patients with weakened immune systems, such as those with HIV/AIDS or leukemia. “Finding new treatments to kill fungi is a major health priority. Novel antifungal drugs are desperately needed to reduce the high global morbidity, mortality and cost associated with treating invasive fungal infections. “Because fungi are so similar to human cells, developing new drugs that kill fungi — but are non-toxic to humans — is a challenge. Furthermore not all antifungal drugs kill all types of fungi and drug-resistance is an emerging problem. “By investigating how fungi cause disease, we have identified a new drug target with the view to design new therapies to combat these serious infections,” she said. 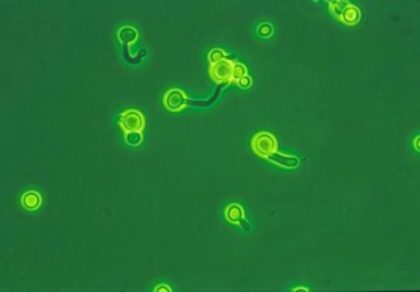 Cryptococcus neoformans is the world’s most common cause of fungal meningitis. “Our laboratory has established reliable methods for studying Cryptococcus neoformans at the molecular level. “Using gene deletion analysis and animal infection models, we identified that the Arg1 metabolic pathway allows Cryptococcus to establish a lung infection and to spread to brain, resulting in meningitis. “We are now looking at Arg1 as a selective target for antifungal drug development. By targeting Arg1, we hope to block the Arg1 metabolic pathway and thereby prevent Cryptococcus from establishing a lung infection and spreading to the brain,” Associate Professor Djordjevic explained. “Fungal diseases are a growing global health problem and a leading cause of blindness, respiratory disease, meningitis and death. “Treatments with fewer side effects will significantly increase the chances of recovery for a patient, potentially saving thousands of lives every year,” Associate Professor Djordjevic concluded.